This "little" guy, a native of Australia, is actually 24" high by 17.5" wide. He is made of steel that has a natural rust patina that will continue to darken with age. 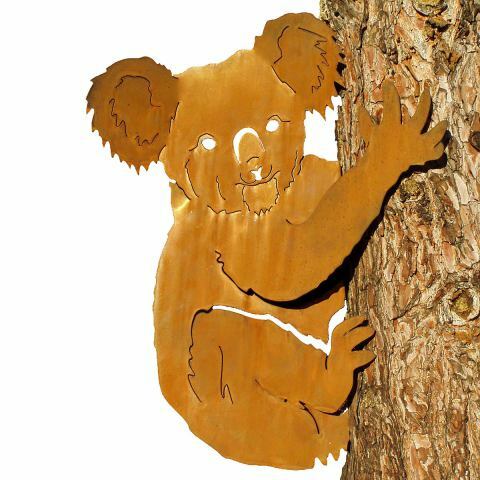 This koala is from designer Chris Crooks and can hang from a tree or a post with three brackets that won't damage the tree. 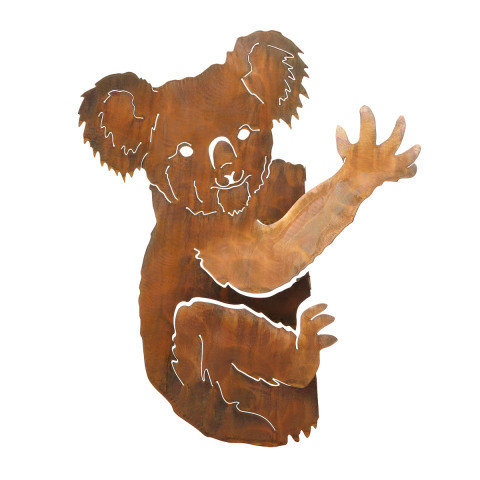 One of the best things about this cute Australian is that he is made in the U.S.A.
To order the Tree Hugger Koala for your garden, click here.